(Location cited as NM 416 675). Built 1848, engineer Alan Stevenson. A circular-section, slightly-tapering stone tower, with a corbelled walkway and standard lantern. The keepers' houses are single-storey, flat-roofed. The most westerly lighthouse on the mainland of Britain. This (shore) lighthouse was converted to group flashing in 1927/8. NM 4158 6745. Ardnamurchan Lighthouse: The lantern of this lighthouse rises to a height of 55m above the shore of the most westerly point of the British mainland. It was designed by Alan Stevenson in 1846 and built by Robert Hume, a contractor from Gatehouse-of-Fleet. The light was first displayed in 1849, the total cost of construction being $13,738. In its original form the light was fixed; a flashing signal was adopted in 1928. 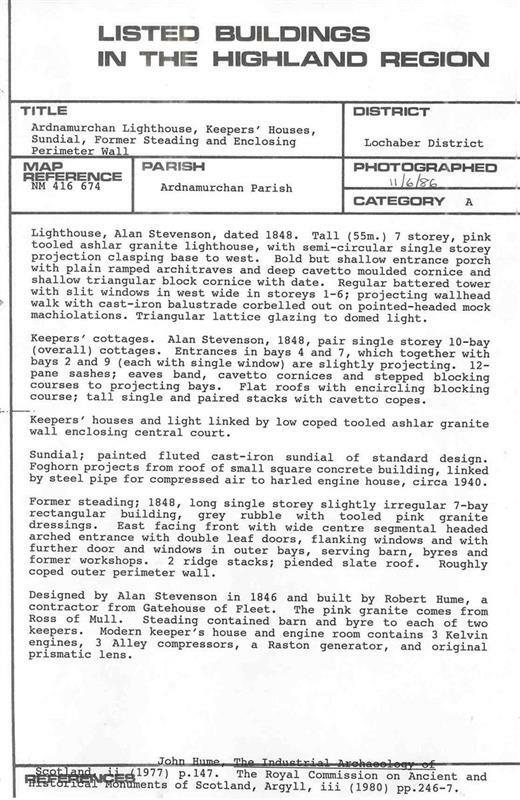 (A full description of the lighthouse and associated buildings is given by RCAHMS). 40. Ardnamurchan Lighthouse (Plate XXVII). Engraving. James Andrews delt. William Miller Sculpt. (Alan Stevenson's Account of the Skerryvore Lighthouse, 1848). 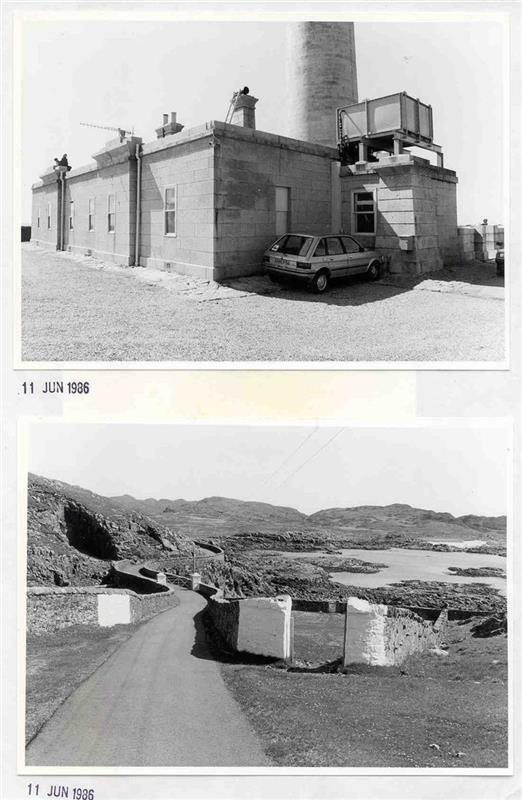 Ardnamurchan Point Lighthouse (Image/Photograph(s)). SHG9143. Lighthouse, Ardnamurchan Point (Image/Photograph(s)). SHG9144. RCAHMS, 1911, The Royal Commission on the Ancient and Historical Monuments and Constructions of Scotland. Third report and inventory of monuments and constructions in the county of Caithness, 18, No. 46 (Text/Report). SHG2664. Admiralty list of lights, 1980, Admiralty list of lights and fog signals: volume A: British Isles and north coast of France from Dunkerque to entrance to Goulet de Brest including North Sea oil and gas production installations, 252, no. 3882 (Text/Publication/Volume). SHG1875. Ritchie and Harman, J N G and M, 1985, Exploring Scotland's heritage: Argyll and the Western Isles, 102, no. 41 (Text/Publication/Volume). SHG2708. Allardyce and Hood, K and E M, 1986, At Scotland's edge: a celebration of two hundred years of the lighthouse service in Scotland and the Isle of Man, 78-9, 154 (Text/Publication/Volume). SHG1882. Hay and Stell, G D and G P, 1986, Monuments of industry, 22-3 (Text/Publication/Volume). SHG2306. 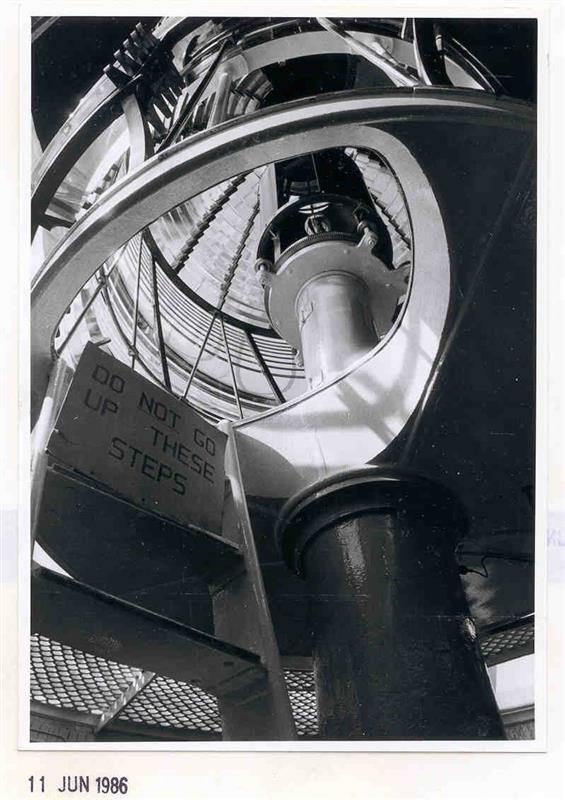 Ardnamurchan Lighthouse, 1997, [Ardnamurchan Lighthouse, newscutting] (Text/Publication/Article/Newspaper Article). SHG3057. <1> Hume, J R, 1977, The industrial archaeology of Scotland 2: The Highlands and Islands, 310, pl. 117 (Text/Publication/Volume). SHG2332. 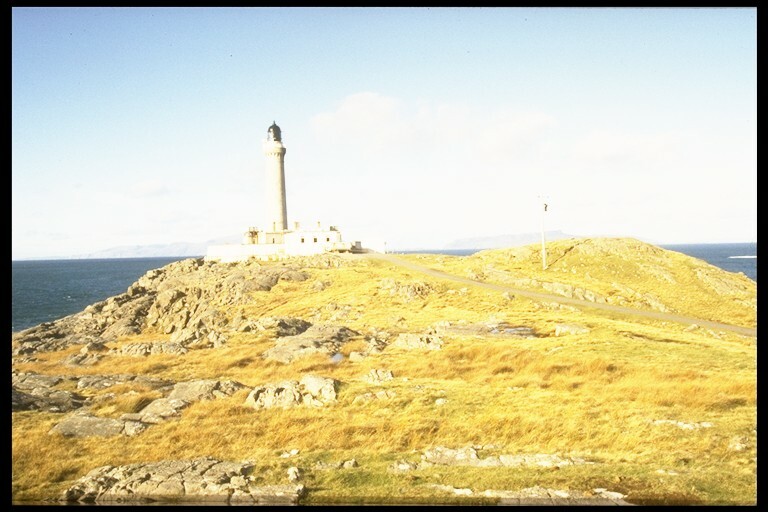 <2> Munro, R W, 1979, Scottish lighthouses, 129, 130, 155, 243, 255, 275 (Text/Publication/Volume). SHG2557. <3> Briscoe, J M, 2008-11, Information and photographs of various sites submitted by Martin Briscoe (Image/Photograph(s)). SHG23810. --- Text/Publication/Volume: Admiralty list of lights. 1980. Admiralty list of lights and fog signals: volume A: British Isles and north coast of France from Dunkerque to entrance to Goulet de Brest including North Sea oil and gas production installations. 252, no. 3882. --- Text/Publication/Volume: Allardyce and Hood, K and E M. 1986. At Scotland's edge: a celebration of two hundred years of the lighthouse service in Scotland and the Isle of Man. 78-9, 154. --- Text/Publication/Volume: Hay and Stell, G D and G P. 1986. Monuments of industry. 22-3. --- Text/Report: RCAHMS. 1911. The Royal Commission on the Ancient and Historical Monuments and Constructions of Scotland. Third report and inventory of monuments and constructions in the county of Caithness. . 18, No. 46. --- Text/Publication/Volume: Ritchie and Harman, J N G and M. 1985. Exploring Scotland's heritage: Argyll and the Western Isles. 102, no. 41. --- Text/Publication/Article/Newspaper Article: Ardnamurchan Lighthouse. 1997. 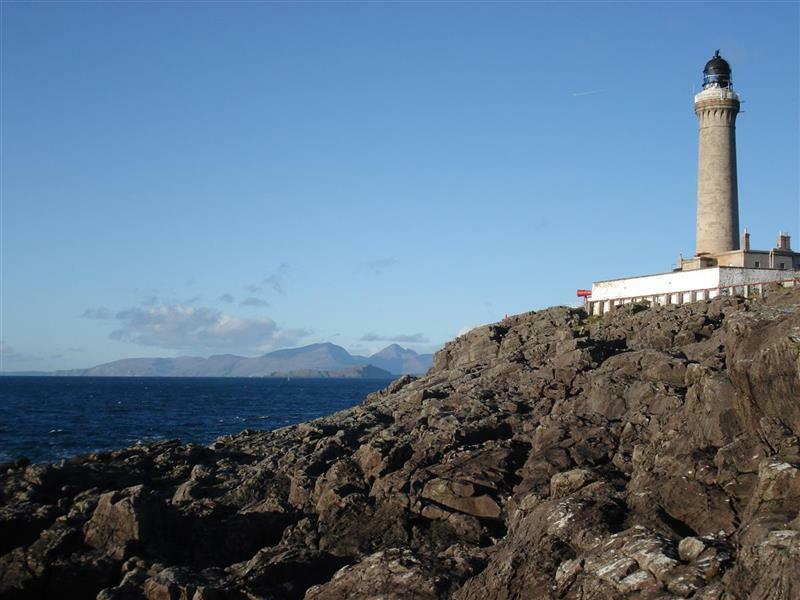 [Ardnamurchan Lighthouse, newscutting]. The Herald. --- Image/Photograph(s): Ardnamurchan Point Lighthouse. Colour Slide. .
--- Image/Photograph(s): Lighthouse, Ardnamurchan Point. Colour Slide. .
<1> Text/Publication/Volume: Hume, J R. 1977. The industrial archaeology of Scotland 2: The Highlands and Islands. Paper (Original). 310, pl. 117. <2> Text/Publication/Volume: Munro, R W. 1979. Scottish lighthouses. 129, 130, 155, 243, 255, 275. <3> Image/Photograph(s): Briscoe, J M. 2008-11. Information and photographs of various sites submitted by Martin Briscoe. Colour. Yes. Digital.